Enterprise: Learn what’s hot in your field right now from the top leaders. Make your business competitive in the economy of the future. Attend all the parallel summits, be part of the Webit Community. Meet current and new partners, clients, suppliers and peers. Investors: Get a broader view on the entrepreneurial and investments ecosystem in Europe and the globe. Get insights on opportunities and market trends in the region and meet the hottest startups.Discover the new industry disruptors. Startups: Meet with top enterprise leaders and investors from all around the world. 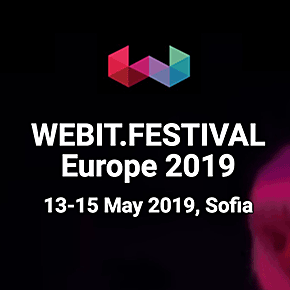 Have your company exhibition stand on site and pitch in front of Webit’s renowned jury members.WIN €200 000 seed investment.